The last day of a Chain Reaction Challenge is different to any other day of the week. Riders and Support Crew have uniquely bonded through the stresses and celebrations of the week, and we know day seven is the last of our privileged time together. It’s not just the conclusion of a week’s riding, it’s the conclusion of many months of sacrifices. Riders have sacrificed countless hours to train to be fit enough to take on the challenge. They have had to do this juggling jobs and family. In addition, they have had to put time and effort into fundraising - each rider is challenged to raise at least $5,000. It is not just the riders who have sacrificed, it’s all our family and friends who have had to pick up the slack in our absence, to them we say a heartfelt thank you. Breakfast – an important start to the day but in Chain Reaction land it is vital –cereal, fruit, bacon and eggs, coffee, coffee, coffee. Food is energy, and that is what we need in abundance by day. However, on day seven another difference is the added apprehension, so close to the finish line yet so far. 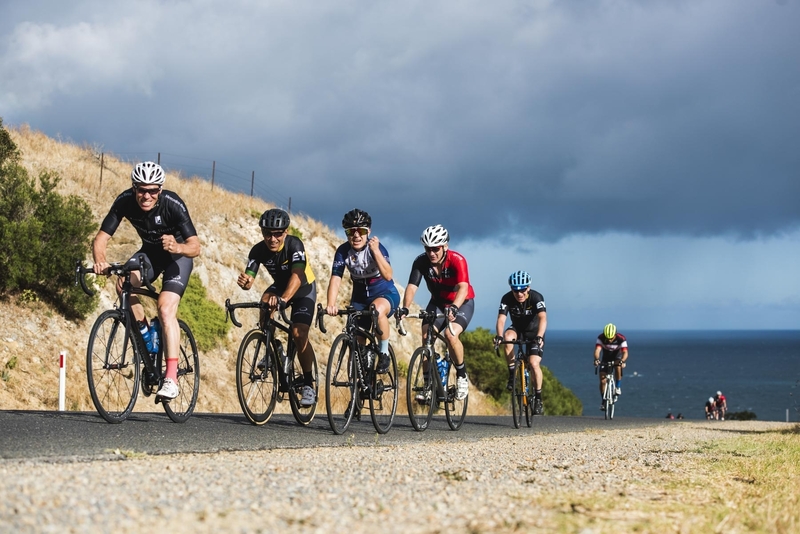 Today riders knew there were 160 tough kilometres ahead evidenced by the 2,000m of elevation that would need to be climbed and that with over 850 accumulated kilometres already in the legs. To add to nerves, Tim Chadd at our nightly briefing highlighted that toady would be a like a box of chocolates ie we would never be certain of just what we would be getting around each bend as the route would pack in ever changing topography and scenery. He wasn’t wrong! 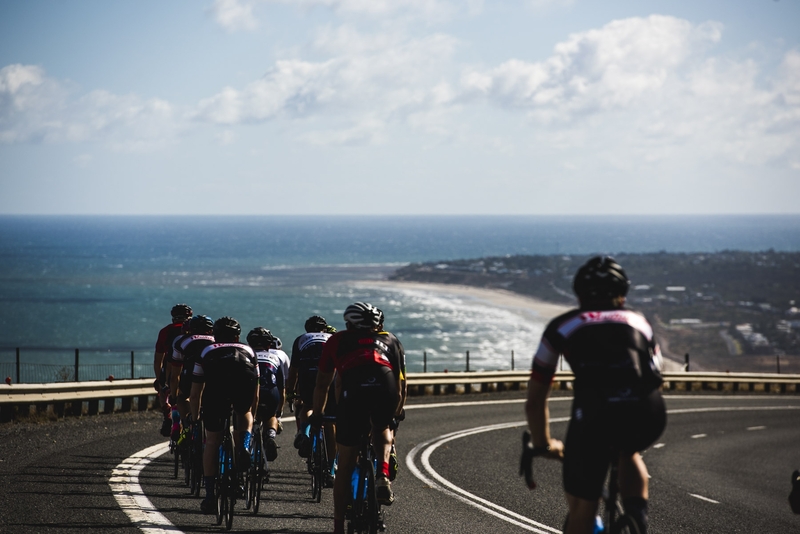 The banter that is the usual feature of a morning bunch ride has dissipated by day seven, fatigued legs, sore “sit bones”, and mental weariness means the first hour of riding is quite as riders focus on the job at hand waiting for the body to warm up. We headed west over rolling hills through the Inman Valley before turning North towards Adelaide. We crossed the Myponga Reservoir dam wall and muscle fibre again twitched as riders exerted themselves to climb yet another range before a high speed descent to Sellicks and Aldinga Beaches. Then it was back through McLaren Vale, and more climbing in the Adelaide Hills. 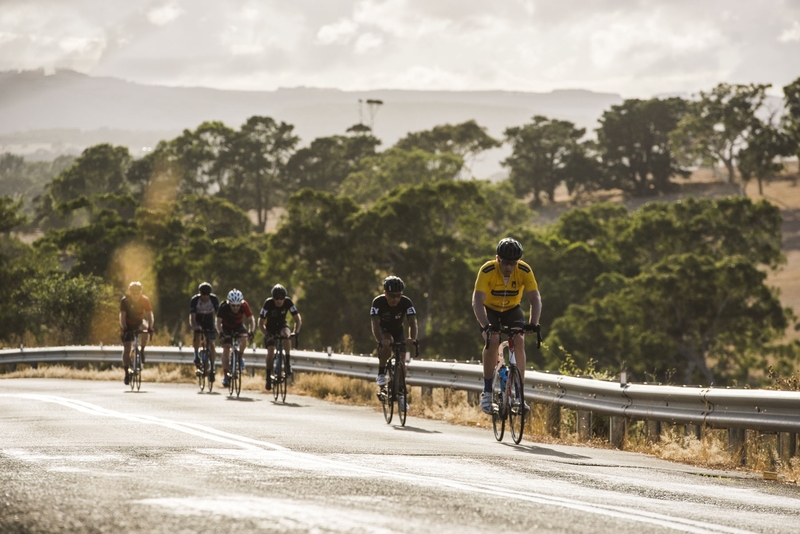 After days of heat, wind and dust riders could see a dark storm front approaching, the tempo increased 30km, 20km, 10km to home and as we reached the bottom of the Mount Barker Road descent the heavens opened. Freezing, driving rain direct from the Antarctic presented one final challenge. 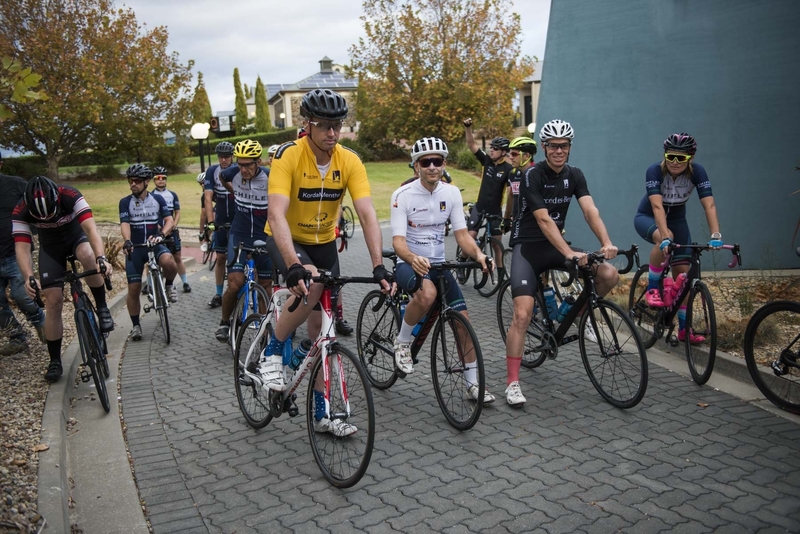 We were expertly shepherded once again by our superstar support crew to our final destination, the Pullman in the Adelaide CBD, all riders back safely to where it all began only six days ago. Smiles, high fives and perhaps a cold beer or three as we celebrated another wonderful Chain Reaction Challenge. Great work team. So why would you participate in a Chain Reaction ride or support a Chain Reaction event? On one level senior executives have come together and demonstrated some great management traits; grit, resilience, collaboration, teamwork, patience and perseverance to name a few over the week, this may tick some great people and culture objectives for you. Yes, it has been an opportunity to create strong new bonds and networks which may present new opportunity over time. 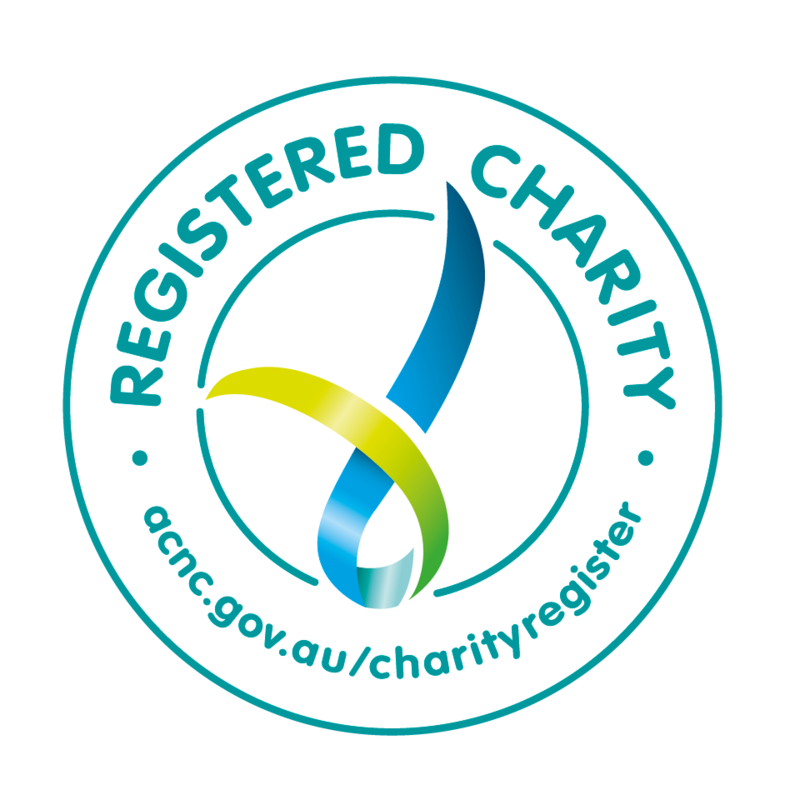 However most importantly I think every rider would tell you it has been an amazing opportunity to give back to the community, to have the great privilege and humbling experience of raising funds to help change the lives of kids in need and support the families of those kids as they face their challenges which are way beyond what we face in our fortunate lives. And finally, at least from perspective a great sense of gratitude to you our supporters, sponsors and donors who without your support this would have just been a ride. So, chapeau, thank you!